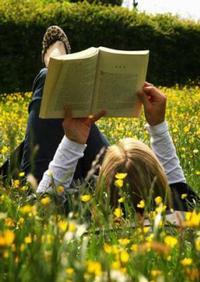 Turn the page to a new season with the Free Library’s Spring Reading Challenge! Readers of all ages—whether individually or as part of a classroom or group—can create accounts online to earn badges and have fun learning with our Spring Reading Challenge. The Challenge provides a fun way to integrate technology, literacy, and writing with incentives. How many badges can you earn? The Spring Reading Challenge has four age-based tracks: birth-5 years old (babies, toddlers, and Pre-K), 6-11 years old (school aged), 12-18 years old (teens), and 19+ (adults). You can earn badges by reading, writing reviews, or completing fun learning activities. Click on a badge to learn how to earn it. You can also create a personal reading goal and track your progress! Why not use the Beanstack Tracker mobile app, so you'll never miss the opportunity to earn a badge? Download the app for iOS and Android devices today! Don't forget, you receive a chance to win the mystery raffle prize with each badge you complete! The Spring Reading Challenge is also a great way to get your child ready for Summer Reading by practicing fun, interactive, and educational reading activities this spring. Which badge has been your favorite? Let us know in the comments below! It's time for the Spring Reading Challenge!